Grey being the colour of the moment it is not hard to see why the Julian Bowen Grey painted bed frame with matching furniture is going to be so popular . 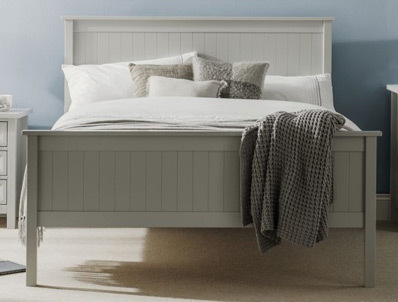 The Maine bed frame offers a panelled end headboard and Footboard in a light grey colour with a solid slatted base . The Maine bed frame is available in single, Double and king size and is delivered flat packed for home self assembly free of charge in most areas. 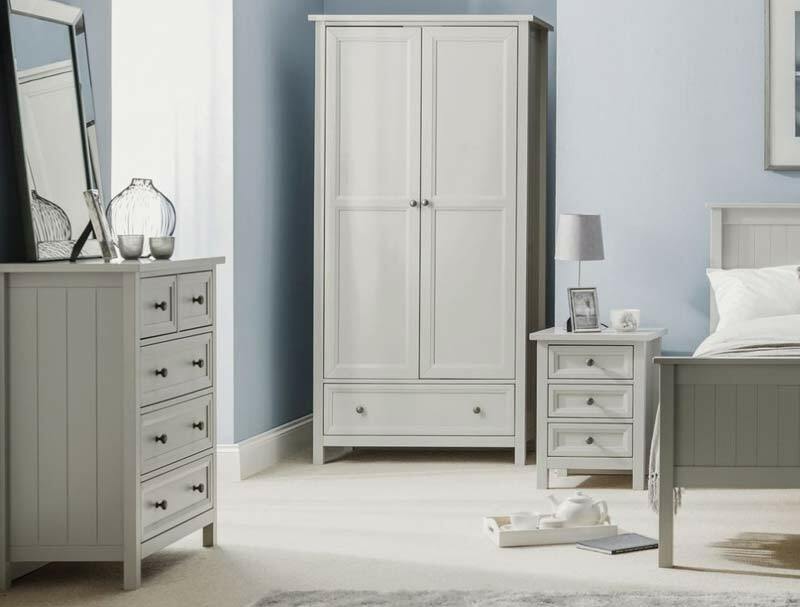 For a small charge just over 10% you can have chest of drawers assembled prior to delivery However bed frames and Wardrobe are Still self assembly .